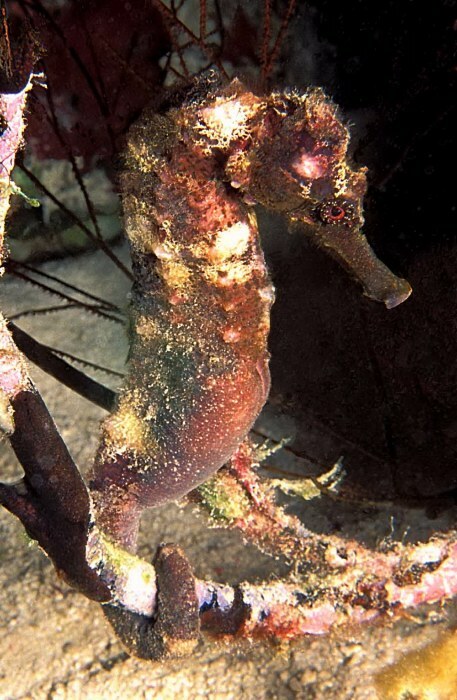 This longsnout seahorse was found near the wreck La Machaca in front of Captain Don's Habitat on Bonaire, NA. Male seahorses become "pregnant" after the female delivers her eggs into the male's brood pouch. The distended belly on this animal makes me think that it is a pregnant male.